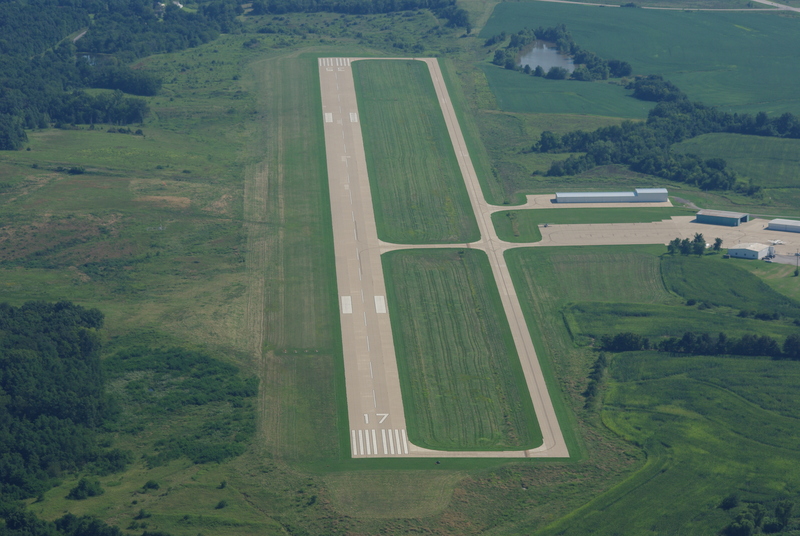 The Hannibal Regional Airport (William P. Lear Field) serves the greater Hannibal community and its surrounding areas. The airport serves a number of Hannibal businesses, medical emergency services, and recreational users. The airport includes hangar facilities, aircraft maintenance, aircraft rental, Hertz rental cars, a courtesy car, aircraft charter service, glider operations, skydiving school, and a flight school. It is located west of downtown Hannibal, north of Highway 36, Shinn Lane exit, then 1.5 miles north on County Road 425. NOTE: Runway 35 is RIGHT Traffic pattern. NOTE: Do not overfly Hannibal Regional Hospital located southwest of the airport. Be alert for helicopter traffic operating to and from the hospital. NOTE: Be alert for glider operations and skydiving activity, especially on the weekends with fair weather. Hannibal Regional Airport is undergoing a major facelift with many improvements. We have already put in a new runway with taxiways and a large apron. 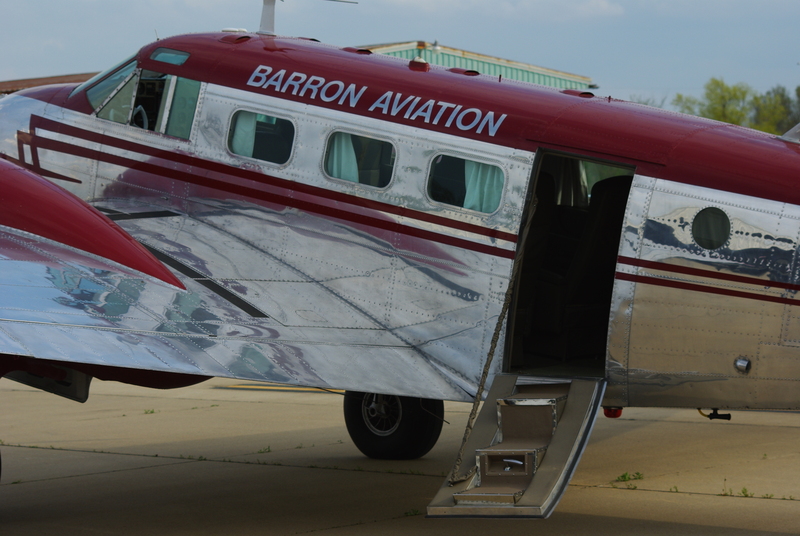 Barron Aviation Private Flight Services was contracted mid 2008 to implement services and manage the airport. GPS WAAS approaches were recently developed with minimums down to 250’ and our fuel system offers both 100 low lead and Jet-A, and is all self serve 24-7. New airport terminal construction began in November 2010 with a projected completion in the summer of 2011. A project consisting of several new hangars is in the planning phase with Barron Aviation and preparations for a runway extension should begin in 2011. Things are very busy at Hannibal’s airport and will be for the foreseeable future. The combination of improvements and the new airport FBO/Management has yielded over 400% increase in airport traffic in two years! The details of the current services and activities can be seen in the left-hand menu. As you look through these, notice the unique twist of historic aviation flavor to the skydiving operation and the Classic Aircraft (tail dragger) flight school. The addition of several activities that have tourist appeal and historic significance fits perfectly with Hannibal and Americas Hometown Airport. Come see us!